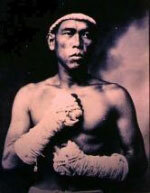 The history of Muay Thai was lost when the Burmese army sacked and razed Ayuddhaya to the ground. With them, much of the early Muay Thai history also went. The little we do know about Muay Thai comes from the writings of the Burmese, Cambodian, early European visitors and some of the chronicles of the Lanna Kingdom - Chiangmai. What all sources agree on is that Muay Thai began as a close combat battlefield fighting skill. More deadly than the weapons it replaced. The sources aren't clear and often contradict each other. But there are two main theories. One says that the art developed as the Thai people moved down from China; honed in the struggle for land. The other theory of the history of Muay Thai says that the Thai people were already here and that Muay Thai developed to defend the land and people from constant invasion threats. The history of Muay Thai second theory, while controversial, has considerable academic backing and archaeological evidence. The first is, however, possible as the area opened up to the early pioneers. What is known is that the history of Muay Thai was an essential part of Thai culture right from its dawn. And in Thailand, it's the sport of kings. In the history of Muay Thai, national issues were decided by Muay Thai contests. The first great upsurge of interest in Muay Thai as a sport, as well as a battlefield skill, was under King Naresuan in 1584, a time known as the Ayuddhaya period. During this period, every soldier trained in Muay Thai and could use it, as the King himself did. Slowly Muay Thai moved away from its root in the 'Chupasart' and new fighting techniques were evolving. The change in the art was to continue under another fighting King - Prachao Sua - the Tiger King. From the history of Muay Thai, he loved Muay Thai so much that he often fought incognito in village contests, beating the local champions. During the reign of the Tiger King the nation was at peace. The King, to keep the army busy, ordered it to train in Muay Thai. The interest in the sport was already high but now it took off yet again. 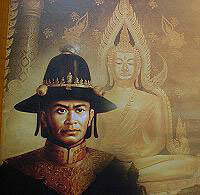 Thai Boxing became the favorite sport and pastime of the people, the army, and the King. Historical sources show that people from all walks of life flocked to training camps. Rich, poor, young and old all wanted some of the action. Every village staged its prize fights and had its champions. Every bout became a betting contest as well as a contest of local pride. The betting tradition has remained with the sport and today large sums are wagered on the outcome of fights. From the history of Muay Thai, Muay Thai has always been popular but like most sports, there have been times when it was more in fashion. 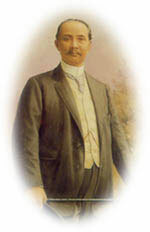 In the reign of King Rama V, many Muay Thai matches were Royal Command fights. These boxers were rewarded with military titles from the King. Today the titles, like Muen Muay Mee Chue from Chaiya or Muen Muay Man Mudh from Lopburi are virtually untranslatable. They mean something comparable to Major of Boxing. 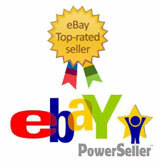 At the time they were much prized and respected titles. It wasn't till the reign of King Rama VI that the standard ring surrounded by ropes came into use, as did time keeping by the clock. Before this period, time keeping was done by floating a pierced coconut shell on a boat of water. When the coconut piece sank, a drum signalled the end of the round. In the history of Muay Thai, Muay Thai has always been a sport for the people as well as a military fighting skill. In all its golden ages, the people have trained and practiced the sport whether they were King or commoner. It was a part of the school curriculum right up to the 1920's when it was withdrawn because it was felt that the injury rate was too high. The people however, continued to study it in gyms and clubs just as they do today. The people have always followed the sport and have been instrumental in moving it from the battlefield to the ring. They have been as much a part of making it a sport as have the Kings. One of the prime movers in transforming the sport was the Tiger King, who not only influenced fighting styles but also the equipment. During the reign of the Tiger King, the hands and forearms began being bound with strips of horse hair. This was to serve a dual purpose - protect the fighter and inflict more damage on the opponent. Later, these were replaced by hemp ropes or starched strips of cotton. For particular challenge matches and with the fighters agreement, ground glass was mixed with glue and spread on the strips. The changes that the sport has undergone have been changes to equipment used rather than radical change. For example, Thai fighters have always worn groin guards. A kick or knee to the groin was a perfectly legal move up until the 1930's. In the early days, the protection was made from tree bark or sea shells held in place with a piece of cloth tied between the legs and around the waist. The groin guard later became a triangular shaped pillow, red or blue, tied around the waist with a through strap between the legs. The pillow went, after a boxer on a trip to Malaysia saw a groin box. He came back with the idea, which is close to the original idea of the sea shell and since then, Muay Thai fighters have used them. The 1930's saw the most radical change in the sport. It was then that it was codified and today's rules and regulations were introduced. Rope bindings of the arms and hands were abandoned and gloves took their place. From the history of Muay Thai, before the introduction of weight classes, a fighter could and did fight all comers regardless of size and weight differences. However, the introduction of the weight classes meant that the fighters were more evenly matched and instead of there being one champion, there became one for each weight class. Most Muay Thai fighters belong to the lighter weight classes. Seventy percent of all fighters belong to the fly and bantam weight divisions. There are welterweight and middleweight fights but they are not seen that often and the heavier categories seldom fight. Muay Thai has changed across the years. Changed and evolved from a battlefield close quarters killing ground technique based on a fighting tradition passed on from generation to generation up to the present time. But despite the changes of history, Muay Thai has lost none of its exotic appeal and even mystique. Muay Thai is still the fighting art to beat. The fighting art that defeats all challenges from Kung Fu, Karate, Taekwando and the latest kickboxing fashions. They have all come to Thailand, not just once but many times and from many places to test themselves. Muay Thai has lost none of its appeal in Thailand. The television fight broadcasts rate among the Kingdom's most popular programmes. In the provinces, villages cluster around any available TV to watch. In the city, people disappear from the streets while Thailand is watching Muay Thai. Thai Boxing is also becoming increasingly popular outside of Thailand. It has its enthusiasts and practitioners in the Americas, Australia, Japan, Europe, as well as in many other countries around the world. The illustrious history of Muay Thai will continue as it receives greater recognition and gains in international popularity. This article was published on Friday 15 February, 2008.